The countdown is officially on for the first-ever Sioux Falls Skedaddle Half Marathon on April 28. As race day quickly approaches, ten Click Rain team members are putting their best foot forward training both physically and mentally for the big day. 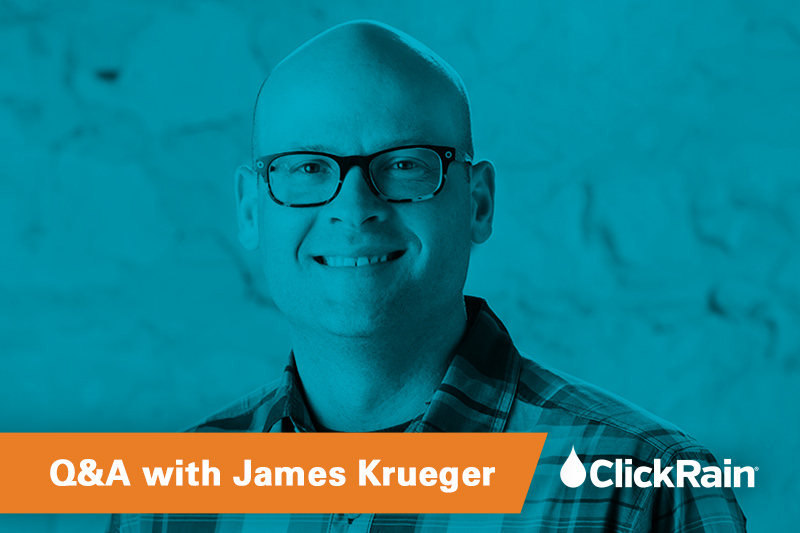 We asked James Kruger, Click Rain Partner and Chief Marketing Officer, how he’s preparing for race day and any tips he may have for half-marathon newbies. Honestly, I’m probably the last person who should give training advice! I’ve never followed a set plan when training for any races, though I probably should. If time allows, I try to fit in two or three short runs during the week and one long run on Saturday. I increase each Saturday run by a mile to build up my endurance. Is the Sioux Falls Skedaddle Half Marathon your first half marathon? I had to do some checking, but I believe this is my 14th half marathon. My wife is a runner, and I started tagging along during our college years. Do you get race day jitters? I definitely get excited on race day, but I wouldn’t say I get jitters. Figuring out my “restroom schedule” is my main concern on race day morning. Once that’s taken care of, you’re gold. What will your pre-race meal consist of? I’m a sucker for pizza—so that’s usually my go-to carbo-loading meal the night before the race. What advice do you have for someone running their first half marathon? Force yourself to start slow. It’s really easy to get caught up in the excitement at the beginning of the race. If that happens, you end up setting a pace that is way faster than what you’ve been training at, and you run out of gas too early in the race. Come race day, what are you looking forward to most? I honestly can’t wait to have a group of co-workers from Click Rain participate in the race. Even if we’re not running the actual race together, it will be a blast to hang out before and celebrate the completion of the race after. How do you balance training with work? Training with a busy work schedule and managing my kids’ schedules is seriously the hardest part. What’s helped me the most is looking at the upcoming week and penciling in where I can fit in a few workouts.